You'll never want to skip leg day again with these double-duty workouts built to deliver more muscle and explosive strength! Some hardy souls can't wait for leg day. They excitedly bound into the gym, get right into a squat rack, and start working with a loaded barbell slung across their back. We call those people "enthusiastic," or, if we're being honest, "batshit crazy." The rest of us—you know, we who don't necessarily relish revisiting what we ate for lunch halfway through a set of heavy, bottom-out hack squats—approach leg day with a mix of apprehension and dutiful resolve. Although your leg-day trepidation may make you feel like a wuss, the truth is, even the best guys can have a love/hate relationship with leg training. Take top fitness models Abel Albonetti and Kizzito Ejam, for instance. For a long time, Albonetti regularly sidestepped leg workouts, and Ejam couldn't squat past the parallel mark. Both men knew that their leg-day woes were holding them back. To turn these weaknesses around, both men gritted their teeth and fought their fear. They trained like hell and learned to embrace the pain. Now, they can both brag about making leg day their favorite day. Here, Albonetti and Ejam reveal the workouts and techniques they embraced to build big, strong wheels. If you want to turn your own legs into high-performance pistons that look as powerful as they are, this is your plan. "When I first started training, I worked legs only once every two weeks," amateur bodybuilding competitor and RSP Nutrition athlete Albonetti admits. "Training legs was always something I hated doing. But, because of this lack of training, my legs were underdeveloped. I knew I had to correct that, so over the past four years, I've really focused on working them more." 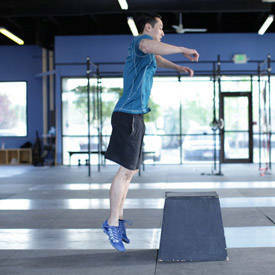 These days, the 25-year-old from Hernando, Mississippi, trains legs at least twice per week. As in most cases, that familiarity has bred amity. 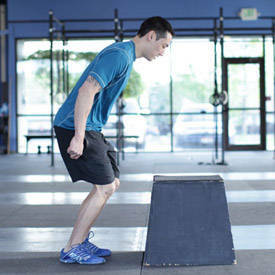 "Now my legs are my favorite muscle group to work," he proclaims. 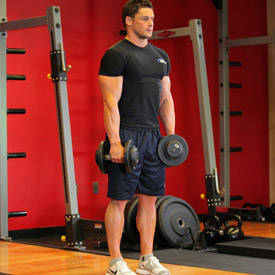 The goal of his sessions is more muscle, of course, but he also puts special emphasis on moving more weight. "I've never had very strong power movements, because of a lower-back injury I suffered when I was a kid, so strength has been a particular focus over the years." "The most common mistakes I see people making when they're training legs have to be improper form and using too much weight," Albonetti says. "I see people load the weight on the squat bar or leg press, then barely lower it and think they did a good rep."
This high-volume workout is a traditional array of movements. Albonetti starts with squats and then moves into leg presses, hack squats, leg extensions, lying leg curls, and stiff-legged deadlifts. Throughout, Albonetti peppers in intensity techniques, including rest-pause and what he rightfully terms a "crazy" dropset on the leg press. 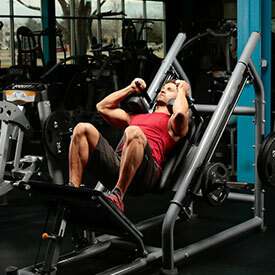 Note: On the final set, increase the load to a weight you can do for 4 reps, then drop the weight and continue to 10 reps. Note: Albonetti does 9 drops total on the final set! Designed To Be The Most Explosive Pre-Workout Formula We Have Seen To Date! * Go Now! "Coming from a martial-arts and track background, explosiveness and power has always been a necessity in my leg training," says fitness model and gym owner Kizzito Ejam. Indeed, in addition to his successful fitness-modeling career, Ejam holds a third-degree black belt and is a certified Krav Maga instructor. His multifaceted training means he needs to pursue multiple goals: muscular development, strength, and complete performance. 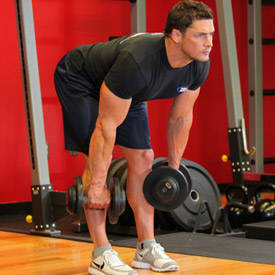 Luckily for this 29-year-old owner of MVP360 Fitness in Oviedo, Florida, Ejam's legs have never been a major laggard. "I've never had any areas of weakness in my leg development," he says. 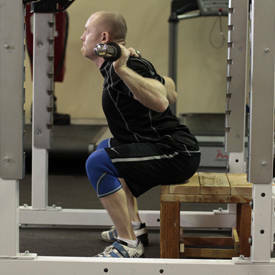 "But when I was first starting out, I found it particularly difficult to squat below parallel." "The legs are made up of huge muscles, and a full range of motion will activate more muscle fibers and trigger growth and strength gains," says Kizzito Ejam. Ejam assumed the problem was a lack of flexibility or even genetically narrow hips. "But as I watched 300-plus-pound powerlifters hitting those deep squats, I thought to myself, 'There must be more to this.' So I began doing box squats and over time slowly lowering the height of the box, eventually to a point I was basically squatting to the floor." 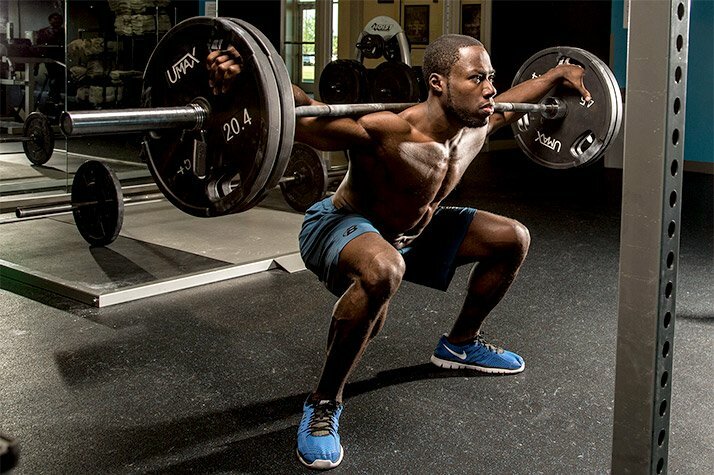 Today, for explosive power and maximal growth, Ejam utilizes a hybrid bodybuilding and athletic performance workout that includes squats, lunges, extensions, and box jumps. "The legs are made up of huge muscles, and a full range of motion will activate more muscle fibers and trigger growth and strength gains." "In this workout, I start off by exhausting the quads with some heavy sets, then move on to a series of supersets," Ejam explains. "This is a technique I love to use to boost athletic performance because in a fatigued state—like during a sporting event or competition—your body will respond differently. 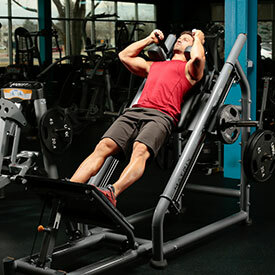 So my goal is to reach that state early in my workout, then up the intensity with supersets." 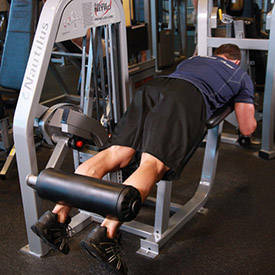 Now that you have two excellent leg workouts in your back pocket, go forth and train! Forget your leg-day fears and grow a set of wicked wheels.